Apogee consistently delivers audio equipment of the highest quality, with a long line of class-leading products hailed by many respected members of the music community to be one amongst the very best. 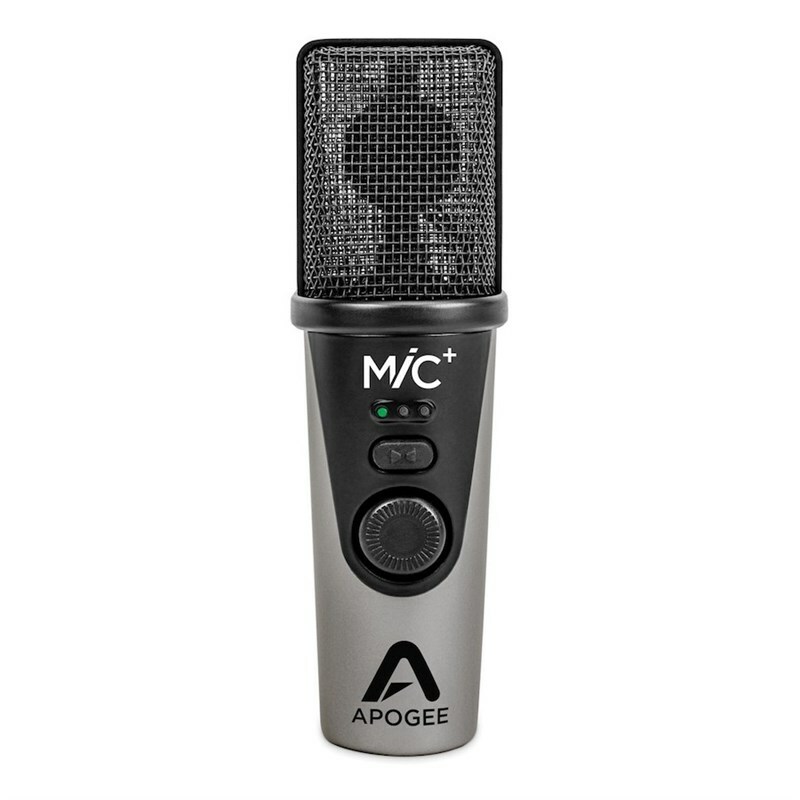 The Apogee MiC Plus is a light-weight and highly portable USB microphone designed for quick and easy recording with your PC, Mac, iPad and iPhone. The MiC Plus features a professional-grade cardioid capsule with a high sensitivity and wide gain and frequency ranges, making it an ideal microphone for a large number of recording scenarios, from close proximity voice-over takes, to guitar demos and beyond. The MiC Plus packs some serious tech into its small and portable frame, their signature PureDIGITAL built-in technology includes 46dB of mic preamp gain, A/D and D/A Apogee converter technology and a solid, precise build. The result is crystal-clear audio with an achievable sound quality of up to 24-bit/96kHZ, capturing every intonation, every note and every dynamic shift in immense detail. With a highly responsive digital adjustable gain, the MiC Plus gives you plenty of breathing room to search for and find your ideal levels. 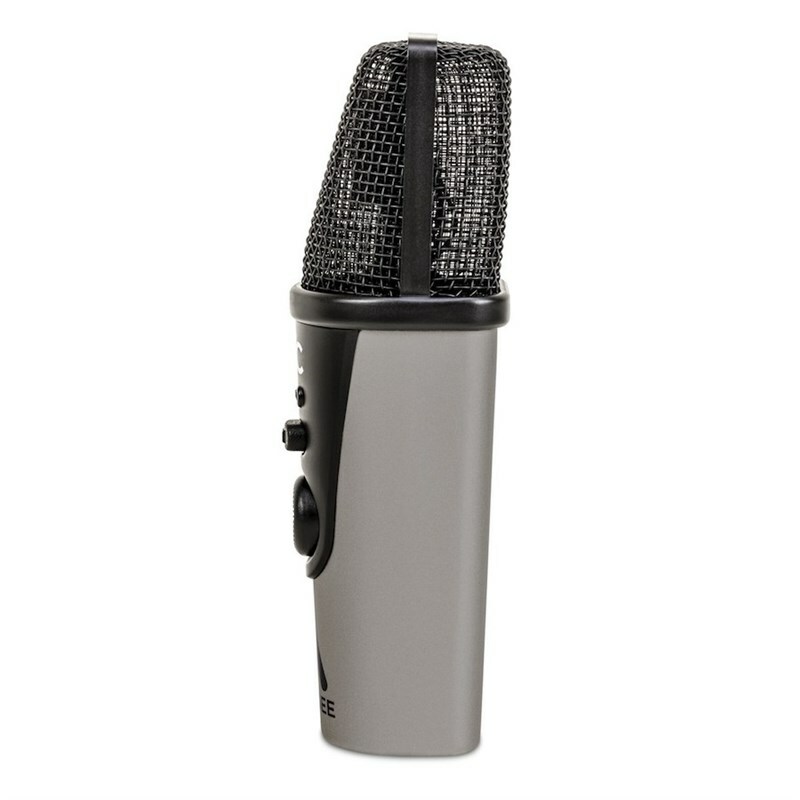 The MiC Plus can easily handle high-level noise without compromising on quality and introducing distortion. 3 front-facing multicolour LED's give you a clear input level status appearing green for a good recording signal or red for a bad recording signal, ensuring you always capture usable takes. Below the LED's the MiC Plus' blend function button gives you the option to adjust the playback levels of your microphone input and software output and find the perfect blend for your takes. Whether you need to capture clean, warm audio for your Youtube video or live stream, or lay-down vocals and guitar licks for your latest production, the Apogee MiC Plus provides you with a user-friendly, ultra-portable professional solution.